Solar energy has come a long way in recent years. Not only is solar energy green and sustainable but its continuously falling prices have also paved the way in using this technology in various applications. According to recent news solar could now beat coal to become the cheapest power on earth. Solar energy has not only made a way into our homes, industries and commercial establishments to power our means of livelihood, it has now made an entry into powering our lives as well. In a recent Swiss research, solar cells can be now placed under the skin to recharge implanted electronic medical devices like cardiac pacemakers continuously. According to Swiss researchers, a solar cell 3.6 square centimetre in size can generate enough power to run a typical pacemaker. 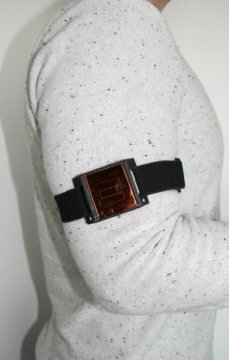 These wearable cells will prevent the patients from undergoing the discomfort of changing the batteries of such life saving devices through implant replacement procedures. The solar cells would convert the light from the sun that penetrates the skin surface into energy. A test was conducted on 32 volunteers in Switzerland for one week during most of the seasons around the year – summer, autumn and winter. This helped testing the real life feasibility of using solar cells in such life saving devices. These solar cells could generate much more power than needed by a typical cardiac pacemaker. The lowest output recorded was 12 microwatts, while a pacemaker uses 5 to 10 microwatts of power for its normal working. Other factors that should be considered before using solar cells for these applications are catchment area of a solar cell, its efficiency and the thickness of a patient’s skin. If implemented and successful this could prove a boon for the mankind. Using solar cells in such devices could thus save the patients from the costs and the stress involved in battery replacement.